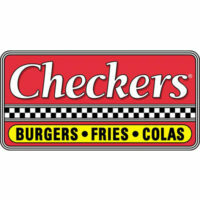 Checkers Drive In is known for its burgers, fries, and chicken. It is now a fast-growing restaurant with over hundreds of franchises set up in the country. This fast food restaurant offers meals that will cater the customer’s needs without spending much. This institution is part of the 800 drive-through restaurants of Checkers and Rally’s. It started entering the burger industry in 1986 in Mobile, Alabama. The merger with Rally’s Hamburgers in 1999 made the company more successful. To provide a quick service to its customers, there company developed 17 systems to ensure smoother operation. Impact systems, as they call it, includes food safety, cleanliness, hiring process, and customer service. Employees are given benefit packages that consists of healthcare assistance, retirement plans, and paid vacation leaves. Life insurance and short and long-term disability insurance are also included. The restaurant always recognizes the efforts of its employees through giving out rewards. Employees with excellent performance are given gift certificates, cruises, and a lot more. How old do you have to be to work at Checkers Drive In? Job applicants are expected to be 16 years old or above to be able to work in Checkers Drive In. General Manager: This person supervises the overall operations of the restaurant from hiring employees to meeting the goals of the company. The general manager maximizes the use of the 17 systems to provide its customers an excellent service. Assistant Manager: This person reports to the general manager. The assistant manager works hand in hand with the general manager in meeting the goals of the company. Technical Support Specialist: This person provides support and assistance to the customers in the technical aspect. The technical support specialist is in charge of all the PC hardware and mobile devices. Corporate Chef: This person mainly focuses on innovation. The corporate chef works on providing new and exciting product offerings in the company. The restaurant’s job offerings are divided into restaurant and corporate opportunities. Other job positions include district manager, cashier, and front office administrative assistant. A talentReef account is needed to apply. The applicant must first log-in or make an account to proceed. The company has also prepared questions to assess the applicant. Job offerings are also categorized based on the location of the restaurant. Online application is used by this institution for a faster and more efficient hiring process. With its many branches nationwide, it is more accurate to sort out its applicants through online application. Be careful in choosing the job listed in the website. Not all of these jobs are offered in all locations. It is advisable to search a particular job by location for a faster process. Organize your resume. Don’t make it too long but do not leave off important details just to make it short. Grammars and typographical errors may make or break the resume. Proofread as many times as you can. With the many applicants hoping to work in this restaurant, it is important to show during the interview that you are fit for the job and you can give solutions to their problems. Checkers Drive In believes that every person can make a difference. The values they uphold in their company do not only make it profitable. It inspires its employees to work with passionate and integrity even if no one’s watching them. With its success in handling its customers and employees, the restaurant is planning to open 12 new branches over the next five years. This will be an addition to the 17 branches currently operating in the area. The restaurant employs 40 workers in every branch. With the opening of these new branches, more job opportunities will be given to the people in that particular community. Its social efforts in providing jobs all over the country show how they put people first with respect. The company does not market the products on their menus alone. They have influenced the people around them by living its values.